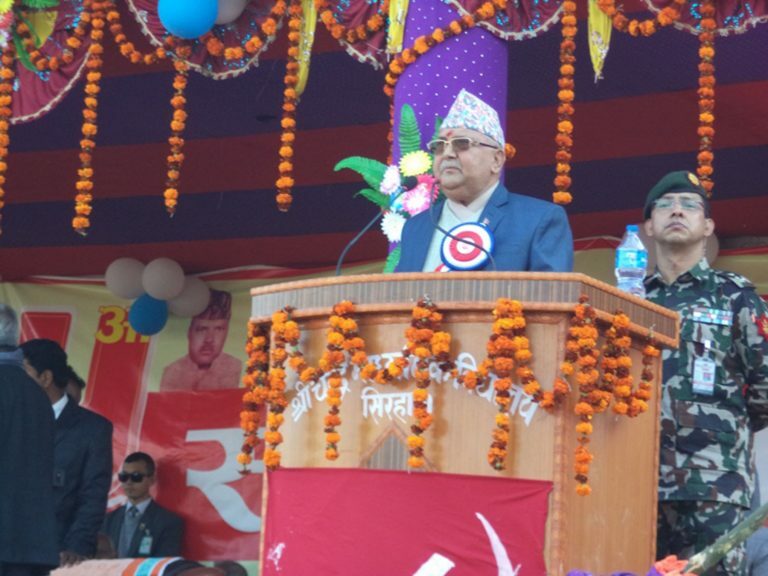 Lahan (2 February 2019) – Prime Minister KP Sharma Oli has reiterated that current government will fulfill Nepalis’ dream of prosperity. Addressing a programme organised to commemorate the 15th memorial day of Martyr Hem Narayan Yadav in Siraha today, the PM said that the government was moving ahead with the plan to make a prosperous nation by ending poverty and unemployment. “Let’s bear patience, this government will fulfill your dream of prosperity,” PM Oli assured. 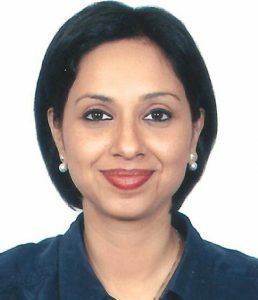 According to the PM, tasks have been forwarded to appoint self-employment officers in all local levels under the Prime Minister Self-Employment Scheme meat for making self-employed to the unemployed youth. “Development of Nijgadh International Airport, East-West Railway, construction of fast-track, establishment of an industrial village, medical college and university, conservation and development of religious sites, and development of irrigation infrastructures are in the cards for the development of Province No. 2,” PM Oli said. PM Oli was of the view that employment opportunities would be created to stop the outflow of youth for foreign employment adding that Province No. 2 has high development potential compared to others thereby it should not be delayed for social changes. The PM said that prosperity in the province is possible through the export of food grain, fruits and other goods by producing through cooperatives. Stating that the government had launched the Student Enrollment Campaign nationwide to bring children remaining out of school to schools, he called for cooperation from the parents to make this campaign a success. Likewise, Minister for Physical Planning and Transport Raghubir Mahaseth clarified that a special package was introduced in Province No. 2 by incorporating projects of road, drinking water, health and education and shared that upgradation of the Postal Highway has been accelerated. Furthermore, Mahaseth shared that contracts to construct bridges over the Kamala River and Balan River have been awarded to Lumbini Builders and Sharma Constructions by revoking the contract from the Pappu Construction. Both the bridges will be built within a year, according to him. The DPR for upgradation of the four-lane road linking the district headquarters of Province No. 2 was also forwarded in a fast pace, he shared, adding that 25 roads would be built in Siraha alone. Similarly, NCP’s Province No. 2 In-charge Satya Narayan Mandal, Deputy In-Charge Bishwanath Sah, Province No. 2 Chairman Prabhu Sah, among others called for cooperation and coordination from one and all for development and prosperity in the province. On the occasion, PM Oli honoured Bal Bahadur Sunuwar, Sanischar Sada, Indralal Lama, NCP’s Saptari Arun Sah (Anil), among others in recognition to their contribution to the NCP. PM Oli also welcomed cadres from RJP, Nepal, Nepali Congress and Federal Socialist Forum among other political parties into the NCP. Moreover, Oli also laid foundation stone for NCP’s office in Siraha and a hostel on the premises of Chandra Secondary School in Siraha.